Donald Trump is engaged in a slow-motion “Saturday Night Massacre” purge to get to Special Counsel Robert Mueller. 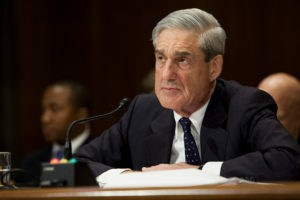 He does not necessarily have to fire Mueller, but he can put him on an island by replacing everyone in the chain of command around him with yes-men who will deny Mueller resources, or deny his requests for subpoenas of documents or witnesses, etc., to effectively impede his investigation. As I pointed out in a link to Foreign Policy yesterday, it reported on an organized campaign to discredit top DOJ and FBI leadership, expressly so that they would lose power in acting as witnesses to support Comey. President Donald Trump pressed senior aides last June to devise and carry out a campaign to discredit senior FBI officials after learning that those specific employees were likely to be witnesses against him as part of special counsel Robert Mueller’s investigation, according to two people directly familiar with the matter. The FBI officials Trump has targeted are Andrew McCabe, the current deputy FBI director and who was briefly acting FBI director after Comey’s firing; Jim Rybicki, Comey’s chief of staff and senior counselor; and James Baker, formerly the FBI’s general counsel. Those same three officials were first identified as possible corroborating witnesses for Comey in a June 7 article in Vox. Comey confirmed in congressional testimony the following day that he confided in the three men. FBI Director Wray replaced Jim Rybicki last week. Baker was reassigned in December. And now McCabe is gone. Trump has previously attempted to force Attorney General Jeff Sessions to resign, and to force Deputy Attorney General Rod Rosenstein to resign, who is now the target of the #ReleaseTheMemo smear campaign from Rep. Devin Nunes, FAUX News (aka Trump TV) and Russian intelligence bots. Russia-linked Twitter accounts are working overtime to help Devin Nunes and WikiLeaks. The coming release of a secret House memo, hotly sought by conservatives, will intensify the great muddying of the Russia investigation in the public’s mind. Why the memo matters: Trump’s allies are betting that when all is said and done — and when special counsel Bob Mueller has completed his report — the American people will be so thoroughly disgusted with everyone that the political outcome is a wash.
Jonathan Swan and I are told that President Trump has already made up his mind to release the memo, which he sees as vindication, despite Justice Department resistance. Trump believes it will solidify in the public’s mind that there’s a Deep State out to get him. Couple that fact with some genuinely troubling text messages between FBI agents, and the Fox News chorus warning of a Deep State coup, and you have the makings of a disorientation machine. Republicans on the House Intelligence Committee, disregarding Justice Department warnings that their actions would be “extraordinarily reckless,” voted Monday evening to release a contentious secret memorandum said to accuse the department and the F.B.I. of misusing their authority to obtain a secret surveillance order on a former Trump campaign associate. The vote, made along party lines, threw fuel on an already fiery partisan conflict over the investigations into Russia’s brazen meddling in the 2016 presidential election. Republicans invoked a power never before used by the secretive committee to effectively declassify the memo that they had compiled. It was an extraordinary maneuver, cheered on by President Trump, who has repeatedly dismissed the Russia investigation as a “witch hunt” and a sham. Committee Republicans said the memo’s release would shed useful light on potential political bias that may have warped the early stages of the Russia investigation without compromising intelligence gathering. Video link to statement by Rep. Adam Schiff. Mr. Schiff also said the committee had opened new avenues to investigate the Justice Department and F.B.I., a characterization disputed by Representative K. Michael Conaway of Texas, a senior Republican on the committee. So a rogue element of Tea-Publicans on the House Intelligence Committee are now “investigating the investigators” in an effort to discredit the Russia investigation by the Special Counsel, DOJ and FBI, while leaving the U.S. vulnerable to ongoing cyber war attacks from Russia all in an effort to shield their Dear Leader from the investigation. What comes next was less clear. Under the obscure House rule invoked by the committee, Mr. Trump now has five days to review the document and decide whether to try to block it from going public. The White House has repeatedly indicated that it wants the memo out, but Mr. Trump’s Justice Department had been working to slow or block its release. Shortly after Monday’s vote, the memo was taken to the White House, where it was being reviewed by White House lawyers, according to a person familiar with the review. Voting as a bloc, Democrats tried to advance a series of motions on Monday that they said would help put the Republican memo in context. All but one of those motions failed along party lines. The committee did make a Democratic memo rebutting the Republican version available to the full House, but Republicans said they wanted time for members to review the document before considering its public release. The Republican memo, which was made available to all members of the House, is said to contend that officials from the two agencies were not forthcoming to a Foreign Intelligence Surveillance Court judge. Republicans accuse the agencies of not properly disclosing that the Democratic National Committee and Hillary Clinton’s 2016 presidential campaign helped finance research that was used to obtain a warrant for surveillance of Carter Page, a Trump campaign adviser. The research presented to the judge was assembled by a former British intelligence officer, Christopher Steele. The memo is not limited to actions taken by the Obama administration, though. The New York Times reported on Sunday that the memo reveals that Deputy Attorney General Rod J. Rosenstein, a top Trump appointee, signed off an application to extend the surveillance of Mr. Page shortly after taking office last spring. The renewal shows that the Justice Department under Mr. Trump saw reason to believe that Mr. Page was acting as a Russian agent. The inclusion of Mr. Rosenstein’s action in the memo could expose him to a torrent of criticism from Republicans on Capitol Hill and from conservatives in the news media who have seized on the surveillance to argue that the Russia investigation may have been tainted from the start. Mr. Rosenstein is overseeing that investigation because Attorney General Jeff Sessions recused himself. It was Mr. Rosenstein who appointed Robert S. Mueller III as special counsel. Hannity hosted Jeanine Pirro, Sebastian Gorka, and Sara Carter on his Monday show, and they took turns talking of how the Obama Administration “weaponized” the Justice Department and intelligence community in order to try seizing control over the election. As Carter said “this is bigger than anything anybody can imagine,” Hannity took that notion to its logical conclusion. “This makes Watergate like stealing a Snickers bar from a drug store,” the Fox host said. Actually Sean, the Tea-Publicans in Congress who are accessories to a conspiracy to cover-up and to obstruct justice, and Trump TV coordinating directly with the Trump administration and perhaps Russian intelligence to disseminate propaganda to undermine American institutions is what makes Watergate pale by comparison. Watergate was the cover-up of “a third-rate burglary” at the DNC. This is Americans directly coordinating with a hostile foreign power to undermine the American government. Some would dare call this treason. The #ReleaseTheMemo conspiracy theory centers around Carter Page, a former Moscow-based investment banker who went on to found a New York investment company, and who was on the F.B.I.’s radar for years (he was previously surveiled by the FBI in 2013). 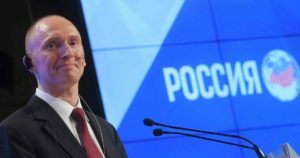 Russian Spy Met Trump Adviser Carter Page and Thought He Was an ‘Idiot’. The Trump campaign knowingly hired someone they had reason to believe was a Russian agent. A trip he took to Russia in July 2016 while working for Mr. Trump’s campaign caught the bureau’s attention again, and by the fall of 2016, shortly after he left the campaign, American law enforcement officials began conducting surveillance on him. To obtain the surveillance warrant, the government would have had to demonstrate probable cause that he was acting as an agent of Russia. Investigators must seek approval from the Justice Department for such a warrant, and then prosecutors take it to a surveillance court judge. People familiar with the underlying application have portrayed the Republican memo as misleading in part, they say, because Mr. Steele’s information was insufficient to meet the standard for a FISA warrant. They said the application drew on other intelligence material that the Republican memo selectively omits. That other information remains highly sensitive, and releasing it would risk burning other sources and methods of intelligence-gathering about Russia. Democrats tried unsuccessfully on Monday to push forward a motion for the F.B.I. and the Justice Department to brief the entire House in a private session on that material before the release of the Republican memo so that they could make a more informed judgment about its contents. There is no known precedent for the Republicans’ action. Though House rules allow the Intelligence Committee to vote to disclose classified information if it is deemed to be in the public interest, the rule is not thought to have ever been used. Typically, lawmakers wishing to make public secretive information classified by the executive branch spend months, if not years, fighting with the White House and the intelligence community over what they can release. Until this past weekend, the committee had refused to let anyone from the Justice Department or the F.B.I., who provided the materials underlying the memo, review it. Representative Devin Nunes of California relented on Sunday, allowing Christopher A. Wray, the F.B.I. director, to review the document. But Mr. Schiff said later in the day that Mr. Wray had conveyed to him that he still had concerns about its release. Speaker Paul D. Ryan of Wisconsin has largely stayed out of the dispute, deferring to Mr. Nunes and the committee on how to proceed. Representative Nancy Pelosi of California, the Democratic leader, was not so circumspect. “Clearly, House Republicans’ desire to protect President Trump has clouded their judgment and caused them to lose sight of what’s at stake: the security and integrity of our elections,” her office said in a statement. The intentionally misleading GOPropaganda talking points memo from Rep. Devin Nunes and his staff will be released by the White House, without regard for national security sources and methods which may be compromised by the release. The Nunes Memo will go directly to FAUX News (aka Trump TV) where it will be hyped incessantly, and our Twitter-troll-in-chief will tweet about what he is watching on Trump TV in a seamless loop. 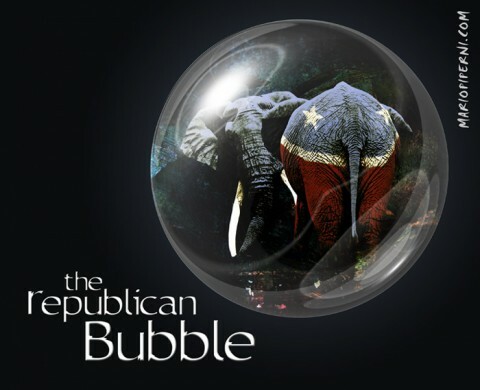 Epistemic closure and the ‘conservative misinformation feedback loop’ media bubble. Whether the Democratic minority memo that exposes how the Nunes Memo is cherry-picked intelligence taken out of context for partisan purposes is ever released remains to be seen. Both memos rely on underlying classified intelligence, and FISA Court warrants, by law, are secret; it is a crime to reveal even the existence of a FISA Court warrant, let alone its contents. Yet here we are. Next articleTrump refuses to impose new sanctions on Russia despite ongoing cyber war attacks against the U.S. 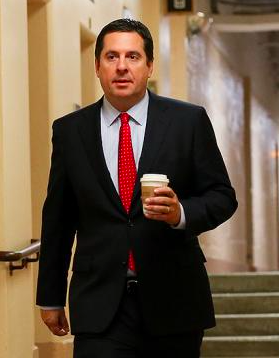 Please, release the memo, so we can all marvel at what a stooge Nunes is. I’ve been watching GOP congressmen and senators whine about how there were warrants issued based on the Steele dossier. So what? Michael Steele is a respected former MI6 agent who had worked with US intelligence in the past, he was asked to look into Trump’s overseas investments, and when he found things he never expected, alerted the US. He’s a Brit, and he’s a better American Patriot than anyone in the GOP.